Best selling Novellist Kate Mosse OBE was born 20 October 1961 in Chichester and was educated at Chichester High School For Girls and New College, Oxford. She graduated from university in 1981 with a BA (Hons) in English. After graduation, she spent seven years in publishing in London, working for Hodder & Stoughton, then Century, and finally as an editorial director at Hutchinson, part of the Random House Group. She was a member of the National Union of Journalists (NUJ) and Women in Publishing. She left publishing in 1992, to begin her writing career and to help setting up a new literary prize, and published two works of non-fiction and two novels. Mosse married old school friend Greg, after meeting him again ten years later on a train by chance and currently lives with him and her family in Chichester and Carcassonne after having bought a small house in Carcassonne in the Languedoc region of southwest France, the inspiration for her bestselling trilogy of historical timeslip novels Labyrinth, Sepulchre and Citadel. She moved back to her home town of Chichester in 1998 to take the position of executive director of Chichester Festival Theatre. In 2001, she began writing the first of the series, Labyrinth, which was published in 2005. Her bestselling books have sold millions of copies in more than 40 countries. Although best known for her adventure and ghost fiction, inspired by real history, Mosse’s first two works were non-fiction. Becoming A Mother (in its seventh edition) was published by Virago in 1993, followed in 1995 by The House: Behind the Scenes at the Royal Opera House, Covent Garden, published by BBC Books to accompany the award-winning BBC 2 fly-on-the-wall documentary series of the same name. She then turned her hand to fiction, publishing two contemporary novels. Eskimo Kissing, about a young, adopted woman searching for her background, was published to critical acclaim in 1996. This was followed in 1998 by the biotech thriller, Crucifix Lane. In 2005, the first of the Languedoc Trilogy, Labyrinth, was published. A number one bestseller all over the world, it has sold millions of copies, was the bestselling title in the UK for 2006 and won the Richard & Judy Best Book at the British Book Awards 2006 and was named as one of Waterstone’s Top 25 books of the past 25 years. Part of Labyrinth is set in Medieval Carcasonne during 1209 on the night before a brutal civil crusade to rid the land of Cathars and concerns a young woman named Alais (Jessica Brown Findlay) who works as a healer and herbalist and finds a dead man in the river with his thumb cut off. Anais then finds herself custodian of the mysterious Book of Words, Although she cannot understand the symbols and diagrams the book contains, Alais finds out that the book could reveal the location of The Holy Grail itself and knows her destiny lies in protecting their secret, at all costs, Meanwhile back in modern day Languedoc an amatuer Archeologist named Alice Tanner (Vanessa Kirby) discovers two skeletons during an archaeological dig in a mysterious cave which has strange symbols drawn on the walls and contains a Ring. She begins to suspect that that she has unearthed a link with a horrific and brutal past. But it’s not just the sight of the shattered bones that makes her uneasy; there’s an overwhelming sense of evil in the tomb that Alice finds hard to shake off. Puzzled by the words carved inside the chamber, Alice has an uneasy feeling that she has disturbed something which was meant to remain hidden and finds herself drawn into a conspiricy involving an age old mystery concerning The location of the Book of Words and the Holy Grail. Television rights were sold to Scott Free and Tandem Communications and the Labyrinth miniseries was broadcast in 2013. The cast included John Hurt, Janet Suzman, Jessica Brown Findlay, Tom Felton, and Sebastian Stan. 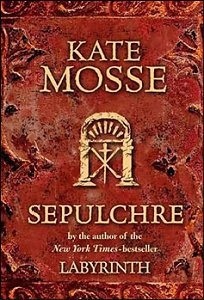 In October 2007, the second novel in the trilogy, Sepulchre, was published. A tale of haunting and Tarot set in 18th Century Paris and Languedoc and 20th-century France, it was also a number one bestseller in the UK and an international bestseller which starts In 1891 and features, Leone Vernier, a young girl living in Paris until an invitation from her uncle’s widow Isolde prompts a journey to Domaine de la Cade, a stately home in Rennes-les-Bains, which is owned by Léonie’s deceased uncle Jules and his wife Isolde. Meanwhile In the present day, an American, Meredith Martin, is in France to research the life of Claude Debussy for a biography she is writing. She is also trying to find out more about her biological mother. During the visit, she visits Domaine de la Cade, which has been turned into a hotel and uncovers information that links her lineage to that of Léonie Vernier and discovers the truth about the events in Carcassonne during that period in history and the terrifying events that occurred in the haunted abandoned Sepulchre which is situated in the grounds of Domaine de la Cade. the stories of Léonie and Meredith are brought together by a series of visions that are related to the Sepulchre, in the grounds of the Domaine de la Cade. Citadel, the third novel in the trilogy, came out in 2013 and was also an international bestseller. Inspired by the real history of the resistance in Carcassonne during World War II, Set in and around Carcassonne and the Languedoc region of France, it features an imagined all-female resistance unit. it explores the incredible history, legends and hidden secrets of the area. Set during World War II in the far south of France, the novel is described as a powerful, action-packed mystery that reveals the secrets of the resistance under Nazi occupation. While war blazed in the trenches at the front, back at home a different battle is waged, full of clandestine bravery, treachery and secrets. And as a cell of resistance fighters, codenamed Citadelle, fight for everything they hold dear, their struggle will reveal an older, darker combat being fought in the shadows. Combining the rugged action of LABYRINTH with the haunting mystery of SEPULCHRE, CITADEL is a story of daring and courage, of lives risked for beliefs and of astonishing secrets buried in time. 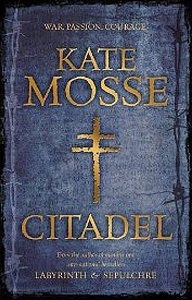 While Mosse was researching Citadel, she released The Winter Ghosts in 2009, based on a novella she previously contributed to the Quick Reads Initiative. Film rights have been sold to Ruby Films and in October 2013, Mosse’s collection of short stories, The Mistletoe Bride & Other Haunting Tales, was published – a collection of ghost stories inspired by traditional folk tales and country legends from England and France, throughout Sussex, Brittany and the Languedoc. There has also been a lavish two-part 2013 TV adaptation based on Kate Mosse’s novel Labyrinth which was made by Ridley Scott’s production company, Scott Free. 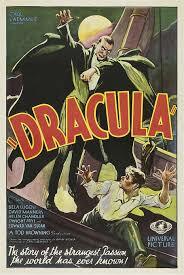 Lugosi was 73 when he died of a heart attack on August 16, 1956, in his Los Angeleshome. .he had married five times, and had one son, Bela George Lugosi.He was buried wearing one of the Dracula Cape costumes, per the request of his son and fifth wife, in the Holy Cross Cemetery in Culver City, California. In Tim Burton’s Ed Wood, Lugosi is played by Martin Landau, who received the 1994 Academy Award for Best Supporting Actor. Three Lugosi projects were featured on the television show Mystery Science Theater 3000.The Corpse Vanishes, the Phantom Creeps and Bride of the Monster. An episode ofSledge Hammer titled “Last of the Red Hot Vampires” was a homage to Bela Lugosi. A statue of Lugosi can be seen today on one of the corners of the Vajdahunyad Castlein Budapest. The cape Lugosi wore in Dracula is at Universal Studios. The theatrical play Lugosi – a vámpír árnyéka (Lugosi – the Shadow of the Vampire)is based on Lugosi’s life, telling the story of his life and He was played by, Ivan Darvas. Lugosi he is also mentioned in “Bela Lugosi’s Dead”, by Bauhaus, and was a charter member of the American Screen Actors Guild. Snow Patrol rose to national fame with their major label debut, Final Straw, in 2003. The album was certified 5× platinum in the UK and eventually sold over 3 million copies worldwide thanks to songs like Run. Their next studio album, Eyes Open, (2006) and its hit single “Chasing Cars,” propelled the band to greater international fame. The album topped the UK Album Charts and was the best-selling British album of the year, selling over 6 million copies worldwide. In 2008, the band released their fifth studio album A Hundred Million Suns, then in 2009 their first compilation album, Up to Now and in 2011 they released their sixth studio album Fallen Empires. During the course of their career, Snow Patrol have won five Meteor Ireland Music Awards and have been nominated for three BRIT Awards. Since the release of Final Straw, the band have sold over ten million albums worldwide. Osteoporosis (“porous bones”, from Greek: οστούν/ostoun meaning “bone” and πόρος/poros meaning “pore”) is a progressive bone disease that is characterized by a decrease in bone mass and density which can lead to an increased risk of fracture. In osteoporosis, the bone mineral density (BMD) is reduced, bone microarchitecture deteriorates, and the amount and variety of proteins in bone are altered. Osteoporosis is defined by the World Health Organization (WHO) as a bone mineral density of 2.5 standard deviations or more below the mean peak bone mass (average of young, healthy adults) as measured by dual-energy X-ray absorptiometry; the term “established osteoporosis” includes the presence of a fragility fracture. The disease may be classified as primary type 1, primary type 2, or secondary. The form of osteoporosis most common in women after menopause is referred to as primary type 1 or postmenopausal osteoporosis. Primary type 2 osteoporosis or senile osteoporosis occurs after age 75 and is seen in both females and males at a ratio of 2:1. Secondary osteoporosis may arise at any age and affect men and women equally. This form results from chronic predisposing medical problems or disease, or prolonged use of medications such as glucocorticoids, when the disease is called steroid- or glucocorticoid-induced osteoporosis. The risk of osteoporosis fractures can be reduced with lifestyle changes and in those with previous osteoporosis related fractures, medications. Lifestyle change includes diet, exercise, and preventing falls. The utility of calcium and vitamin D is questionable in most. Bisphosphonates are useful in those with previous fractures from osteoporosis but are of minimal benefit in those who have osteoporosis but no previous fractures. Osteoporosis is a component of the frailty syndrome. World Osteoporosis Day was launched on 20 October 1996 by the United Kingdom’s National Osteoporosis Society and supported by the European Commission. Since 1997, the day has been organised by the International Osteoporosis Foundation. In 1998 and 1999, the World Health Organization acted as co-sponsor of World Osteoporosis Day. The day also marks the launch of a year-long campaign to raise awareness of osteoporosis and metabolic bone disease. Since 1999 these campaigns have featured a specific theme.